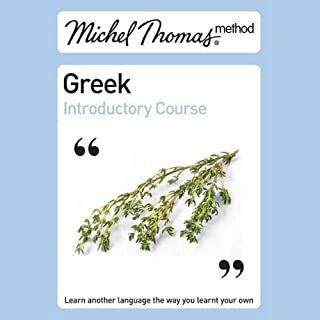 I bought the course four days before my wife and I went to Greece. I only had time to listen through it once. When I arrived in Greece I could communicate on a basic level with the people. One of the nice memories from this vacation was the warm smiles from the Greek people who appreciated the effort one makes to speak their language. You receive a better service and in some cases you will get friends for life. This course opens people?s hearts, because it helps the user to show kindness and respect with just a small vocabulary. And the teaching methods a very effective.